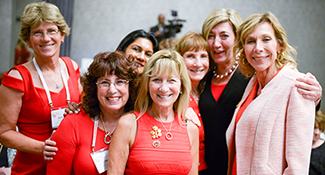 The gala—honoring Nancy Falchuk and Barbara Heller—raised nearly $900,000, mainly to support the campaign to renovate Hadassah Hospital's Round Building. 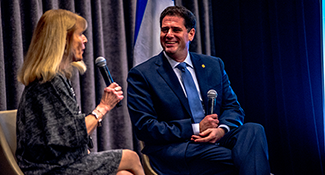 Israeli Ambassador to the United States Ron Dermer spoke before a rapt audience at an afternoon session dubbed Chai-Tea, part of Hadassah's annual meeting. 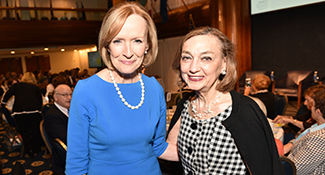 ​Moderated by Judy Woodruff of PBS, the panel discussion covered the extent to which personal data may be used or hacked. 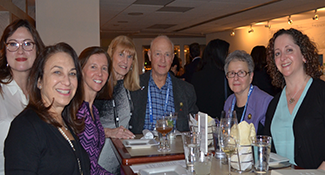 Hadassah members come together to restore the organization's memorials in Israel and advocate for the Jewish state in Washington. Anyone Share a Birthday with Israel? 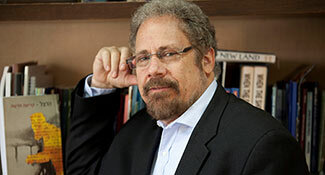 Let us know if you were born on May 14, 1948!